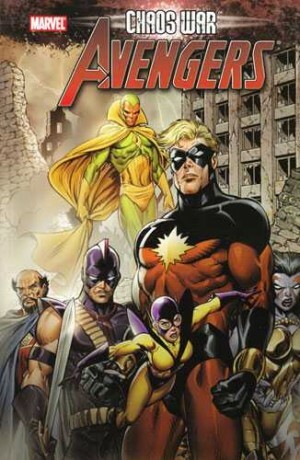 For those unaware, Secret Invasion was Marvel’s big 2008 crossover series, in which it was revealed that the shape-shifting alien race of Skrulls had been covertly replacing influential humans and superheroes as a prelude to invasion. 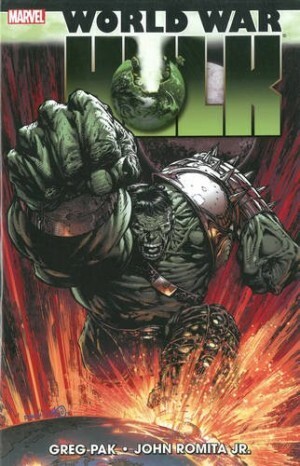 Central to the plot was the idea of the Skrulls fulfilling a religious compulsion to spread the word of their God. It was an uncomfortable real world allegory, and many producing tie-ins chose to ignore that aspect. 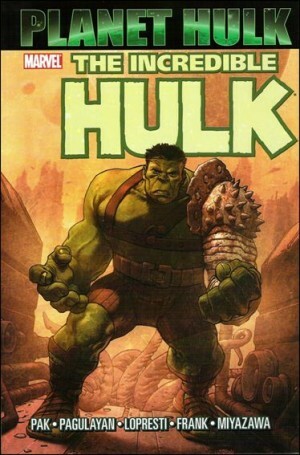 Greg Pak and Fred Van Lente however, were already writing a series in which the mythical exploits of a God of were central to their plots, and they embraced the idea, coming up with a story where assorted Gods of Earth travel to confront their Skrull counterparts to forestall the invasion. Rafa Sandoval’s art is adaptable and dynamic, edging toward both manga and a cartoon style, but never quite making that leap. It’s something to be cherished, as for the remainder of the run there isn’t a single volume that benefits from the sole attention of a single artist. The story, though, doesn’t hit the peaks. 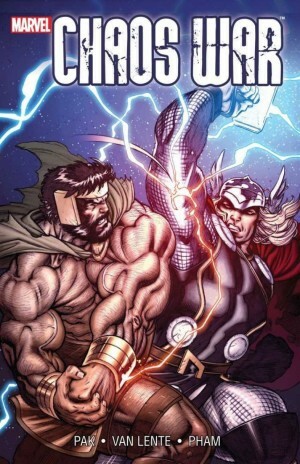 It’s nice to see the Eternals again, the writers certainly engaged in an extensive trawl of religions in assembling their squad of deities, and the surprise for Amadeus Cho is well conceived and one most readers won’t see coming. 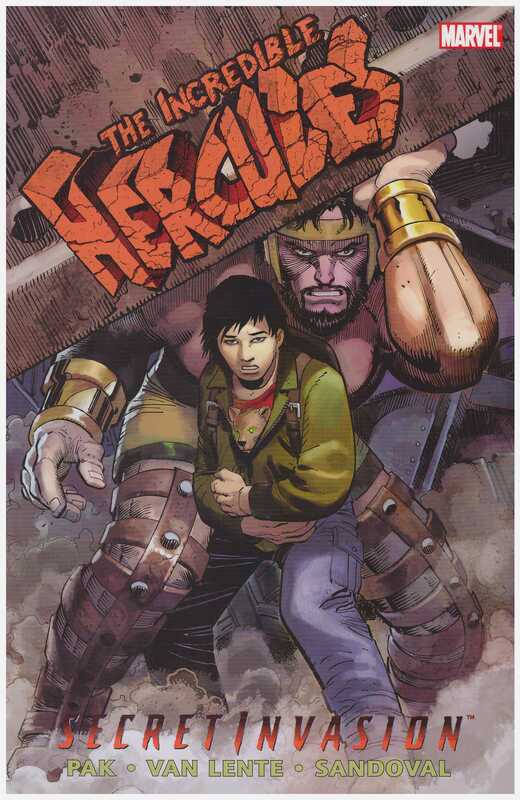 On the other hand, the choice of Hercules to lead the collected Gods is decidedly odd, the camaraderie highlighted in the back cover blurb is minimal, and the imagination, such a hallmark of this series, is all-but lacking. The exception is a detour into Nightmare’s world with near fatal consequences. 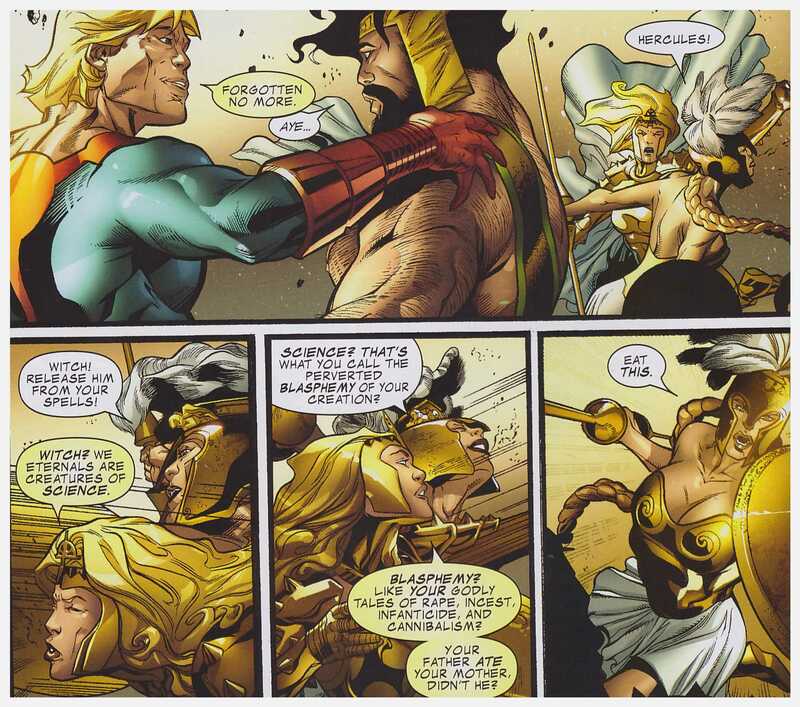 There are surprises near the conclusion, and what Hercules does here impacts on Secret Invasion as a whole, but this is very much a lesser Hercules collection. Love and War is far better.